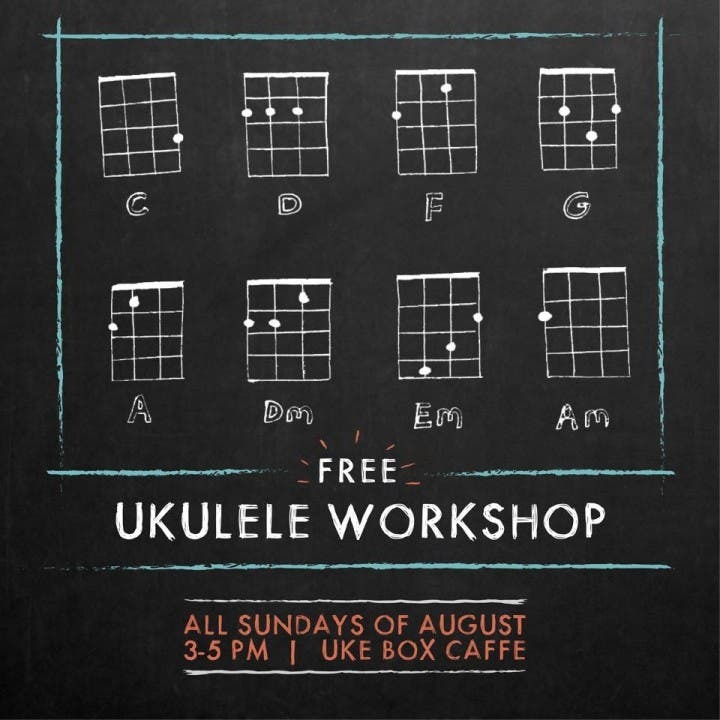 Whether you are a die-hard fan of ukuleles like me, are interested in learning how to play the ukulele, know someone who plays the ukulele, or simply want to eat, relax, bond and have fun, Uke Box Caffe in Eastwood is the place to be. The minute I walked into Uke Box Caffe, I found myself grinning. 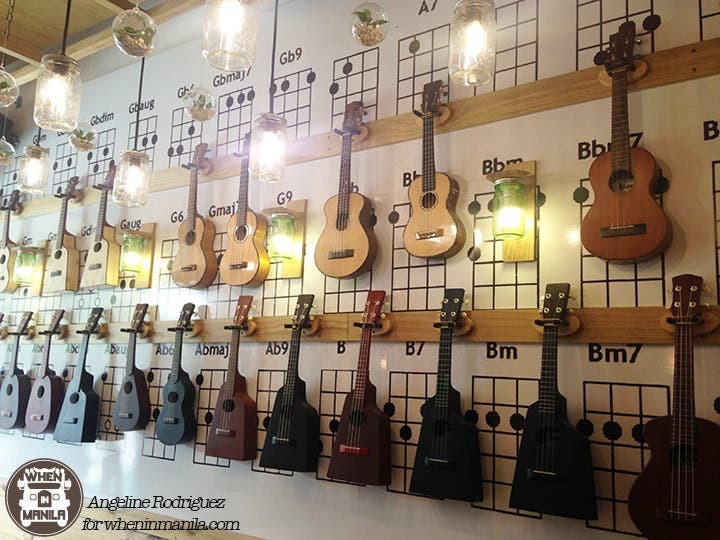 On the left side, ukes were lined up on a wall that served as a basic uke-playing tutorial. The place smelled like coffee. And on the right side, a beachy vibe with bean bags and beach posters welcomed us. I felt like singing a Jack Johnson song at the top of my lungs right after I squealed a little bit inside. You can rent a ukulele and play if you already know how to. You can learn how to play if you want to. The staff is very friendly and willing to assist. You can drink, eat, bond and laugh with your loved ones. And for the ukulelaholics, you can also customize and order your very own personalized ukulele at the cafe!!! The mere thought of it alone excites me! 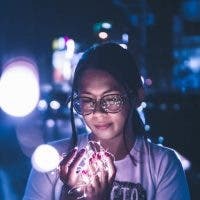 So, if you’re looking for something unique and fun to do in the metro either with your barkada, your family or for a date, put Uke Box Caffe on your list. I brought my boyfriend and taught him how to play “All of Me” on the uke and he didn’t even realize we were there for HOURS. Fun and happiness guaranteed! Enjoy A Lauriat Feast for 3 People for Just PHP749!! Striker’s Burger & Bacon Blowout at Burger Company!